DEBATE: IS COMPULSORY FLUORIDATION A GOOD IDEA? The dental profession itself acknowledges that in fluoridated areas the incidence of dental fluorosis (systemic fluoride poisoning) is 48%, of which 12.5% is of cosmetic concern. and hence likely to cause severe psychological damage. This of itself, when set against the claimed 15% reduction of decayed missing or filled teeth (which over 50 studies have shown to be merely the delay of decay for about a year) would certainly be more than enough in the case of most tested medicines to have fluorides banned from public use. In the 40 years or so that the Birmingham area has been fluoridated, alongside the hugely increased spending on dental care, there has been no systematic research to prove the safety of fluoride in the water. The population of the West Midlands may thus be unsuspecting guinea pigs on which to test a chemical shown by international research to have a distinct dumbing down effect. Fluoride is a cumulative poison which can even be absorbed through the skin. At a dilution of 1 part per million the effect (in most cases) may not be dramatic, however, serious scientific studies suggest many damaging effects- e.g. lowering of I.Q. (20 plus studies), increased incidence of cancer in teenage boys, thyroid damage, kidney damage, brittle bones et alia. In 1977 fluoridation was terminated throughout the entire country of Chile due to a clear increase in infant mortality. A report stated that poorly fed children were especially at risk. In 1972 in fluoridated Gateshead a total of 34 babies under the age of 12 months died, (8 being cot deaths). This was 50% above the national average!! 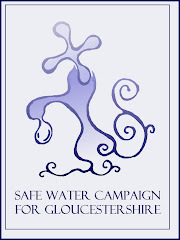 Rob Mehta – Safe Water Campaign for Avon Glos. and Wilts.